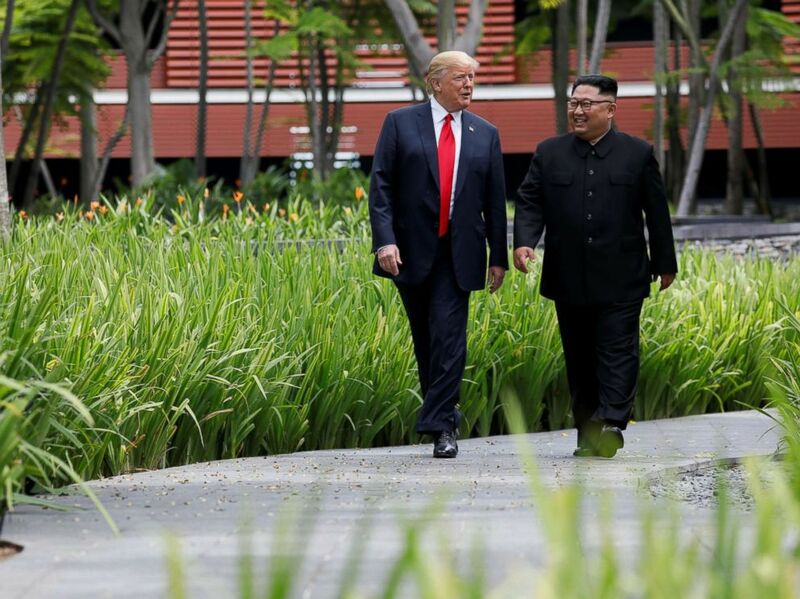 President Donald Trump shakes hands with North Korea's leader Kim Jong Un after signing documents after their summit at the Capella Hotel on Sentosa island in Singapore June 12, 2018. 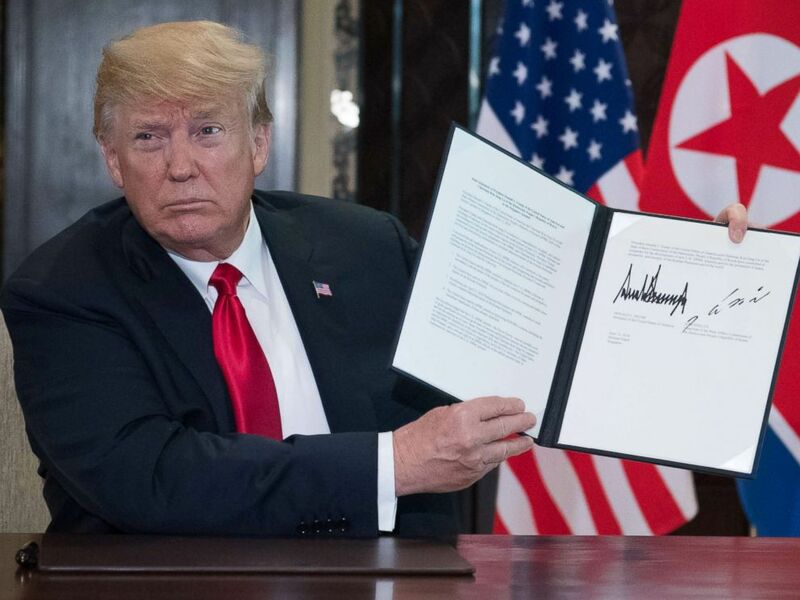 President Donald Trump holds up a document signed by him and North Korea's leader Kim Jong Un following a signing ceremony during their summit at the Capella Hotel on Sentosa island in Singapore on June 12, 2018. 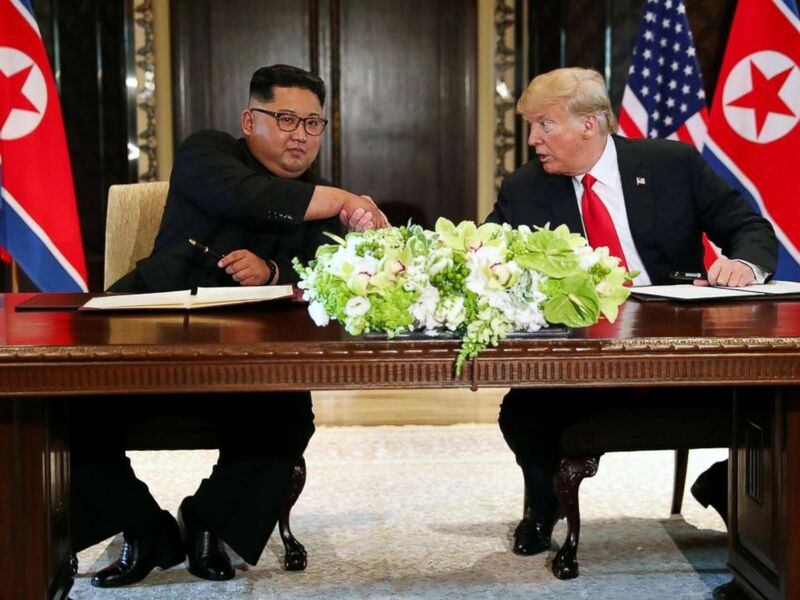 Having acknowledged that the U.S.-DPRK summit—the first in history—was an epochal event of great significance in overcoming decades of tensions and hostilities between the two countries and for the opening up of a new future, President Trump and Chairman Kim Jong Un commit to implement the stipulations in this joint statement fully and expeditiously. The United States and the DPRK commit to hold follow-on negotiations, led by the U.S. Secretary of State, Mike Pompeo, and a relevant high-level DPRK official, at the earliest possible date, to implement the outcomes of the U.S.-DPRK summit.